NTAD has successfully gained planning permission for a large side extension to an arts and crafts style dwelling in the coastal village of Porlock, Exmoor National Park. 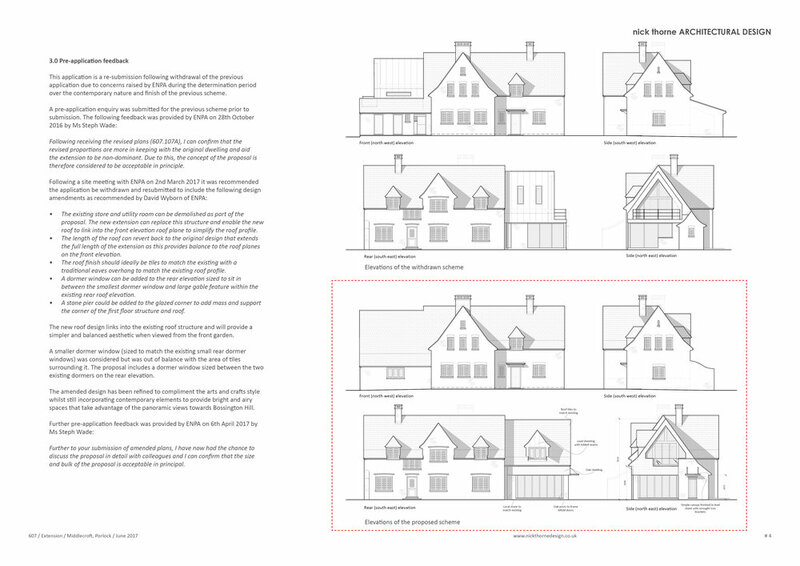 The two images below show the intended contemporary scheme designed to contrast and compliment the host dwelling. The proposed zinc roof and wall cladding with minimalist glazing and detailing were chosen to provide a form and finish of simple character to allow the rich qualities of the original dwelling to sing. Following consultation with the Parish Council and Exmoor National Park the planning approved scheme (image below) reflects a more traditional design blended with contemporary detailing. Traditional materials will include pan tiles, panels of rubble stone, glass and oak cladding to provide a wider range of textures that closer reflect the arts and crafts style. This panning approval demonstrate how schemes can evolve through negotiation during the planning process. Had the first contemporary scheme been refused planning the client could of appealed the decision (at risk). 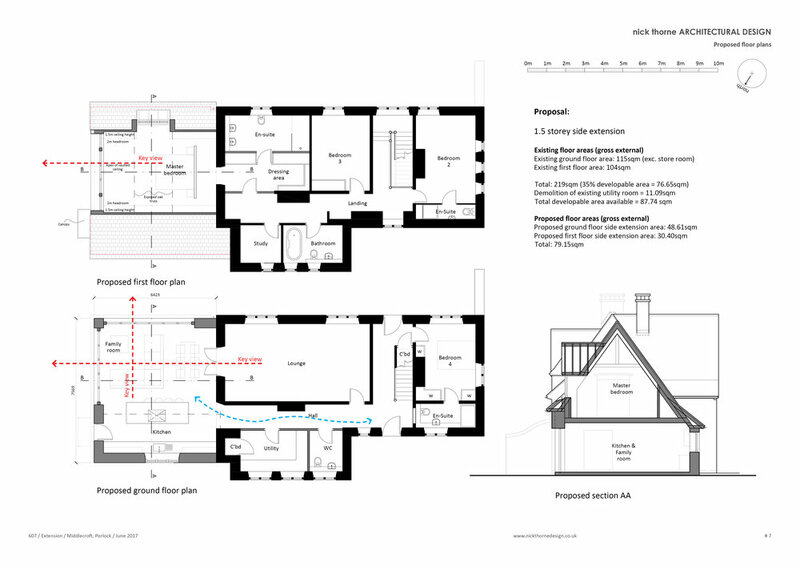 In this instance the scheme was resubmitted with a more traditional design to ensure a positive outcome and enable the build to commence as soon as possible. NTAD can provide high quality architectural designs to gain successful planning outcomes on challenging sites. We regularly negotiate with the Local Authority to sensitively alter and extending historic buildings using both traditional and contemporary materials with hand crafted construction techniques. If you have a project in mind contact NTAD to begin discussions.